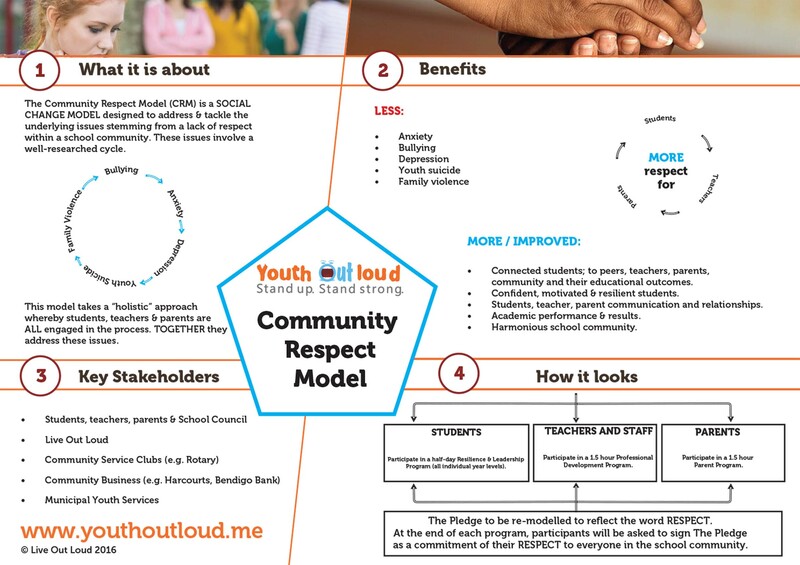 This model is Designed to take the work and programs that we run in Schools out into the broader local community. In this way we can gain further support for the on-going development of RESPECT & RESPONSIBILITY in YOUR community. "We do everything with RESPECT"